Even being born and raised in New Jersey, I never thought of the Garden State as my go-to for wineries…until Limoncello (Cello), our first German Shorthaired Pointer joined our family. From that point on, my husband Brian and I, have been on a mission to find any and every dog-friendly establishment in our area. 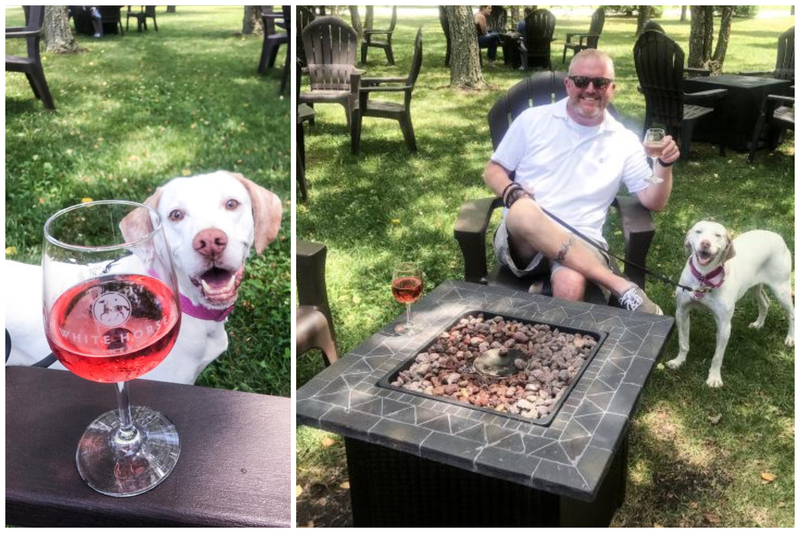 When a “dog-friendly” internet search came up with some local wineries, we decided to hit the road. We’ve enjoyed these excursions so immensely, that it’s our mission to eventually visit all the dog-friendly vineyards in New Jersey. It’s a “ruff” job, but someone’s gotta do it, right?! And thanks to Cork Hounds, we have the ability to make this a reality. 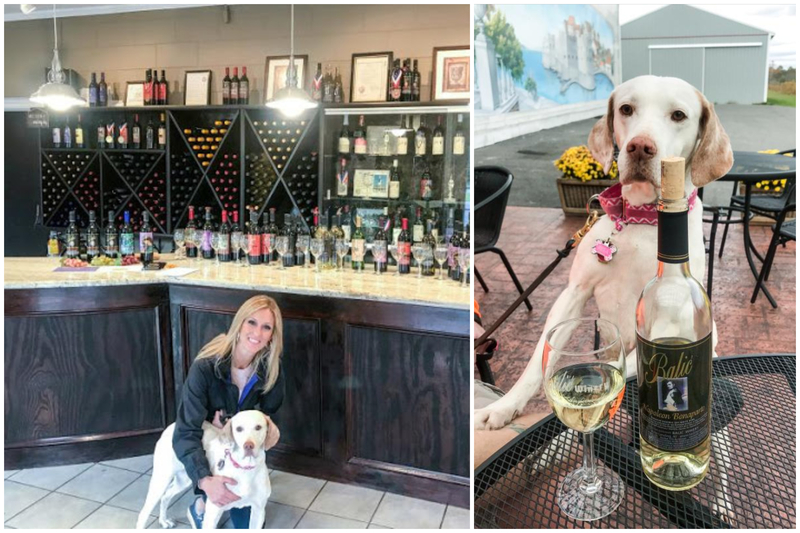 We have visited 19 dog-friendly New Jersey wineries so far. Information on our favorites is below (not in any particular order). Friday 1:00 p.m. - 6:00 p.m.
Saturday and Sunday 11:00 a.m. - 6:00 p.m. 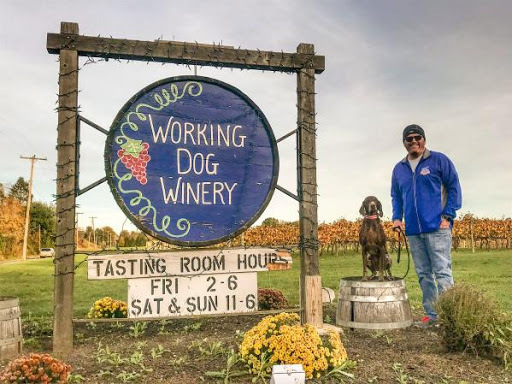 Working Dog Winery is located in Mercer County, New Jersey. The vineyard established in 2001 and opened to the public in 2003. The winery was originally known as "Silver Decoy Winery," but the name was changed in 2013 in honor of the owner's hard-working, good-natured dogs. This winery is extremely dog-friendly both inside the tasting room, and on the grounds. This winery also hosts some great events as well. The tasting room is spacious and includes a huge shuffleboard. They also have an outdoor seating area overlooking the vineyard which includes outdoor heaters for colder weather. They offer a wide variety of reds, whites, and sweet wines. Sunday – Thursday 10:00 a.m. – 5:00 p.m.
Friday and Saturday 10:00 a.m. – 6:00 p.m.
Photo of Bellview Winery and tasting room. Photo by Jenny Beadling, All Rights Reserved. 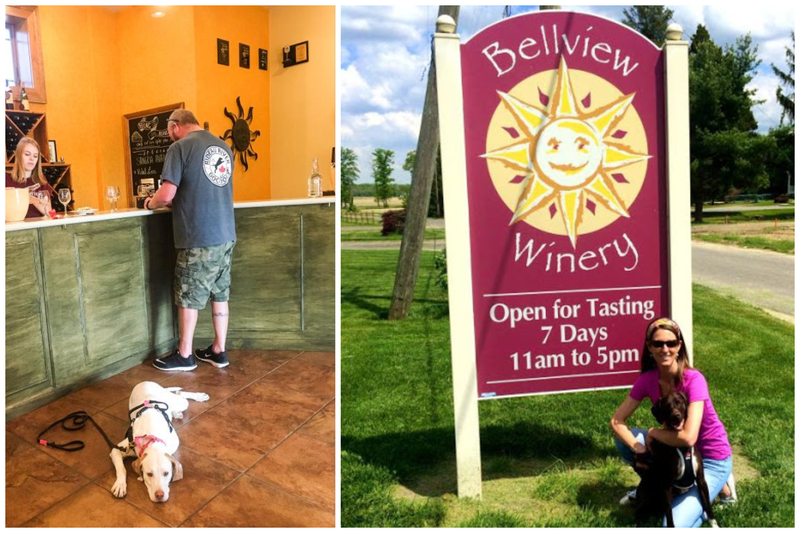 Bellview Winery is the very first winery we visited with Limoncello. The winery boasts an extensive list of wines with over twenty estate-grown varieties, and over two dozen wines, and 40 acres of grapes under cultivation! Bellview is located in Atlantic County, New Jersey. This property was a family produce farm since 1914. The vineyard was planted in 2000 and opened to the public in 2001. This winery is dog-friendly both on the grounds and inside the tasting room. Sunday - Thursday 12:00 p.m. – 5:00 p.m.
Saturday 12:00 -p.m. - 6:00 p.m.
Photo of Cape May Winery and Vineyard tasting room. Photo by Jenny Beadling, All Rights Reserved. Cape May Winery & Vineyard is located in North Cape May section of Lower Township in Cape May County, New Jersey. The vineyard was first planted in 1992 and opened to the public in 1995. Their vines expand over 70 acres and four different vineyards, where they harvest eleven grape varieties. The winery produces over twenty different styles of wine, including their signature white “Cape May Barrel Fermented Chardonnay. Cape May winery is dog-friendly both on the grounds as well as inside the tasting room. Monday – Saturday 9:00 a.m. - 8:00 p.m.
Photo of Balic Winery and tasting room. Photo by Jenny Beadling, All Rights Reserved. Balic Winery offers free tastings and is located in the Mays Landing section of Hamilton Township in Atlantic County, New Jersey, and boasts more than 27 award-winning wines. This winery is dog-friendly both on the grounds as well as inside the tasting room. The vineyard was first planted in the early 19th century and is now in its’ 53rd year. Tasting room hours vary with each season. Photo of White Horse Winery. Photo by Jenny Beadling, All Rights Reserved. This winery is only dog-friendly outside on the grounds, but it is well worth the visit. Their wines are delicious, and the grounds offer live music, corn hole, and fire pits. 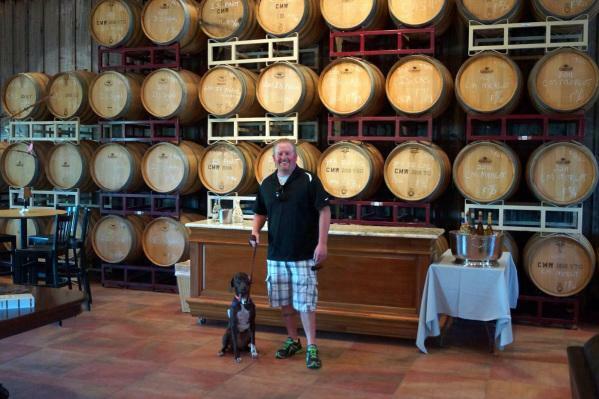 Visit our blog to see other dog-friendly wineries we’ve visited! Although we have shared wineries and vineyards that we have visited with our pack, if you decide to give one a try, it is always a good idea to call ahead to be sure their rules and policies have not changed. Please remember that just like other activities, not every dog is meant to be a “Cork Hound.” In fact, some members of our own pack do not join us on our wine-tasting adventures, unless we know they are a good fit for our destination. You know your fur-kid best. If your dog is not comfortable around people, other dogs, or you have difficulty controlling certain behaviors of your dog, visiting wineries may not be the best idea for your pooch. For other tips on bringing your pup with you to wineries, click HERE. If at any time you feel as though you and/or your dog are stressed, or the place you are visiting doesn’t seem like a good idea, just politely notify your server and safely remove your pup from the situation. Remember that alcoholic beverages are for the “of age” humans in your pack only. It is also very important while you are visiting these types of establishments to drink responsibly and have a designated driver in order to ensure you and your pup have a safe adventure. Cover Photo of Working Dog Winery by Jenny Beadling. All Rights Reserved.